2016 will be a milestone year in the history of Indian civil aviation. It is in 2016, the NDA (National Democratic Alliance) Government took decisive and forward-looking steps that are expected to change the course of civil aviation, with civil aviation becoming a critical input in the nation’s economic progress. The National Civil Aviation Policy (NCAP) and the Regional Connectivity Scheme (RCS) are going to be the cornerstones of this civil aviation momentum which will catapult India into third place, after China and US, in terms of civil aviation market. That is a steep ascent, thanks to the leadership role of the Prime Minister Narendra Modi and some of his cabinet colleagues, including the Minister of Civil Aviation P. Ashok Gajapathi Raju. The Prime Minister, not just in a series of tweets but on many occasions underscored the importance of civil aviation. 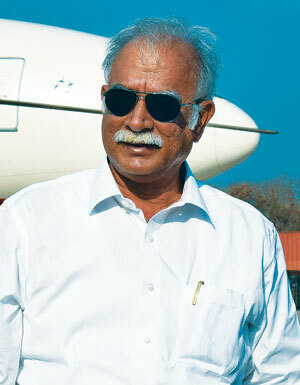 He has tweeted “A new aviation policy has been released under this Government. 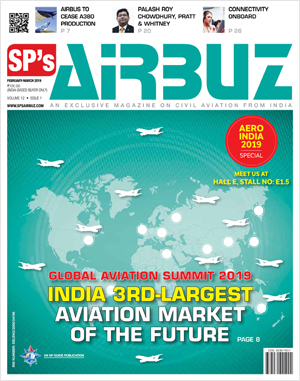 It looks at growth of the aviation sector.” “Connectivity is becoming very important in this century. 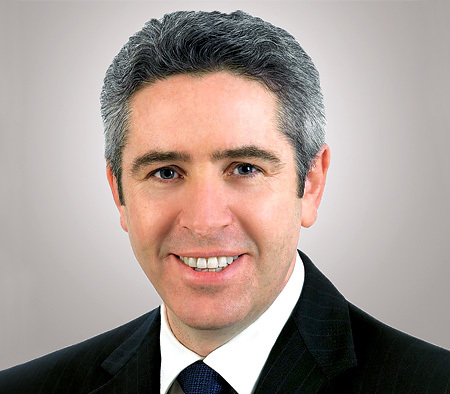 Air connectivity is vital from the point of view of tourism sector growth.” “Better air connectivity means more tourists and this means better economic growth.” The NCAP and RCS, along with a proactive government, is going to radically transform the sector which at present is the ninth-largest civil aviation market with a market size of around $16 billion. The growth numbers are all there. We look at three broad parameters of growth in 2016 — airline; airports and general/business aviation. As per the Directorate General of Civil Aviation (DGCA), there are 16 scheduled operators (including airline subsidiaries and freighters) having 472 aircraft. A new regional commuter airline — Zoom Air — was expected to take flight in November, but is yet to get its air operator certificate. It is hoped that it will take off in January 2017, in a way, indicating that airlines in India are going to zoom into a expansion mode, considering the highly encouraging passenger and freight numbers. The passenger traffic growth has been phenomenal. The data provided by DGCA shows a continuous upward movement. From January to November 2015, the total passenger traffic was 733.82 lakhs which this year has climbed to 903.36 lakhs, registering a 23.10 per cent growth. Low-cost carrier, SpiceJet had the highest passenger load factor in November 2016 at 92.5 per cent, followed by IndiGo (88 per cent) and GoAir (87.3 per cent). The foreign tourist arrivals from January to November 2016 were 78.53 lakhs with a growth of 10.4 per cent as compared to 71.14 lakhs the previous year for the same period. The reasons attributed to this growth have been low fares, fuelled by drop in aviation turbine fuel; improved connectivity; new destinations and a surge in first-time air travellers. Indian domestic air traffic is expected to cross 100 million passengers in 2017, compared to 81 million passengers in 2015. With such encouraging trends, airlines have already set themselves in an expansion mode. The national carrier Air India is embarking on ‘great expansion plans’, according to its Chairman and Managing Director Ashwani Lohani. In 2017 it has planned to add six new international destinations. Air India which turned operationally profitable in the last financial year, is working on ways to revive its fortunes. It is ramping up the fleet with more fuel-efficient A320neo (new engine options) planes. Presently, Air India has a fleet of 135 aircraft, including nearly 70 from Airbus. Jet Airways (India) Ltd had indicated in 2015 that it would be buying 75 fuel-efficient Boeing 737 MAX aircraft at a list price of $8 billion. The delivery of the planes is expected from mid-2018. “Incorporating the latest design and technology features, the highly efficient 737 MAX will allow us to drive our operational efficiency and reaffirms our commitment to providing a best-in-class full-service travel experience to our guests,” said Naresh Goyal, founder-Chairman of Jet Airways. 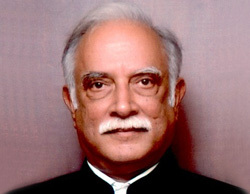 “This order is an endorsement of our confidence in the long-term prospects of the Indian aviation sector, which reflects the positive forecast for the country’s economy and offers tremendous potential for growth and development.” The Jet Airways group currently operates a fleet of 116 aircraft comprising Boeing 777-300ERs, Airbus A330-200/300, Next Generation Boeing 737s and ATR 72-500/600s. In Q2 FY17, the airline carried 6.77 million passengers up from 6.37 million in Q2 FY16. The group had a profitable quarter with a profit of Rs. 85 crore for the period ending September 30, 2016, despite a traditionally ‘lean’ quarter and domestic yields being under pressure. The Tata-Singapore Airlines venture, Vistara, has proposed to invest Rs. 250 crore in the airline, signalling a major expansion plan. At present, it operates 11 Airbus A320 aircraft and has a market share of 2.4 per cent. The airline will increase its fleet to 13 next month and according to its initial plans, it will have 20 aircraft by June 2018. The lowcost carrier which is almost getting everything right is IndiGo. Having found success in narrow-body aircraft, the airline is now opting for bigger aircraft in the single-aisle segment as it steps up overseas expansion plans. It recently tweaked its aircraft order of converting 20 Airbus A320neo planes to A321neos, the latter will have additional seating capacity of 230, up from 180. IndiGo has a total of 422 planes on order, a whopping number that has surprised the aviation world. IndiGo has a record of eight consecutive years of profitable operations. As of November 2016, its market share was 42.1 per cent. It has a fleet of 125 aircraft including 13 new generation A320s. Airbus has confirmed that it will deliver 24 fuel-efficient A320neo aircraft by March 2017. Similarly, all the other airlines are in an expansion mode. SpiceJet had disclosed plans in November last to buy over 150 planes. It recently added three Bombardier Q400 aircraft to expand regional services in the North East. The airline has 14 Q400 aircraft in service from its original order. Another low-cost airline, GoAir has chosen Airbus for its further expansion plans by signing a memorandum of understanding (MoU) for 72 A320neo aircraft. Regional airline Air Costa, which recently got pan-India licence allowing it to operating flights to any part of the country, has on order 50 E2 E-Jets from Embraer, deliveries of which is expected to commence from mid-2018. Presently it has a fleet of four 112-seater Embraer 190 aircraft. AirAsia India, owned jointly by Tata Sons and Malaysia’s AirAsia Berhad, is expanding its fleet to 20 aircraft, which would allow it to fly abroad. Its Board of Directors approved new funding into the airline this month. “We are at seven aircraft and want to get to 20 at the earliest. We are not going to stop at 20,” Amar Abrol, Chief Executive Officer at AirAsia India, has said. Another regional player, Hyderabad-based TruJet which operates three ATR 72-500s has become a new ATR 72-600 operator, having leased the same from Dubai Aerospace Enterprise. The airline which connects Hyderabad, Aurangabad, Bengaluru, Chennai, Kadapa, Goa, Nagpur, Rajahmundry, Tirupati and Vijayawada has announced that it would expand services to more cities in the months to come. Passenger traffic is certainly adding joy to the airlines, while freight which has been lagging behind has also showed signs of considerable growth. Freight traffic is expected to be five times the current level by the end of the next two decades. It is expected to be 11.4 million tonnes by 2032. 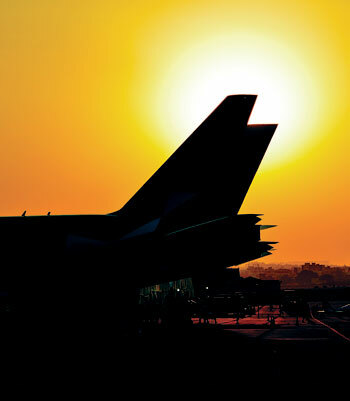 The Indian air cargo sector has a highly untapped potential. Growth in e-commerce and government initiatives are expected to boost the air cargo business in India. Amidst challenges, the Indian air cargo sector throws innumerable opportunities. As per an Airports Authority of India (AAI) report, the international and domestic freight traffic have shown growth of 8.1 per cent and 7 per cent respectively resulting into overall increase of 7.7 per cent in total freight traffic during the period April-September 2016-17 as compared to April-September 2015-16. With passenger and freight traffic growing at phenomenal pace, it is only time for airport development to catch up. Presently, there is a problem of capacities, but the government has plans to invest massively in airport infrastructure development. AAI has plans to make investments of Rs. 15,000 crore over the next five years, including Rs. 10,000 crore on upgradation and expansion of 20 airports. Consultancy firm CAPA has said India needs to build 50 new airports at an investment of Rs. 2,72,000 crore to handle the growing air traffic. Presently, there are 125 airports managed by AAI and only 69 of them receive commercial flights. Now with the NCAP and RCS, the focus is going to be on developing no-frills airports to connect the hinterland. CAPA in its report titled ‘India’s Airport Capacity Crisis’ has listed that six airports — Delhi, Mumbai, Bengaluru, Chennai, Kolkata and Hyderabad — receive around 66.5 per cent of India’s total air traffic. And that these six cities themselves would need new airports by 2025-26 to handle the traffic growth. The pressure to develop secondary airports and also airports in Tier-II and -III cities is building up. According to PricewaterhouseCoopers, the general aviation (GA) market in India is expected to grow at 10 per cent per annum to cross Rs. 1,600 crore by FY-2017. Industry estimates show that around 300 business jets, 300 small aircraft and 250 helicopters are expected to be added in the current GA fleet by FY-2017. As per the report by the Working Group of the Twelfth Five Year Plan, a total investment of more than Rs. 20,000 crore in GA is expected during the plan period. This underlines the fact that today business jets are no longer seen as a luxury but as a tool for enhancing productivity. The helicopter market in India is equally promising, with growing requirements in tourism, mining, corporate travel, air ambulance, homeland security, etc. The surge of tourist traffic into India has been a key driver of the growth of the general aviation sector in the country. Alongside, as support to the aviation industry, the opportunity to provide maintenance, repair and operations (MRO) activities will grow with the industry. India’s MRO segment is estimated to grow at 10 per cent and reach $2.6 billion by 2020. The picture looks highly optimistic. The present government has shown keenness in promoting the aviation sector, of course along with other sectors too. From negative growth rate in 2012 to making India, the land of consistent 20 per cent growth, NDA Government is truly transforming India.